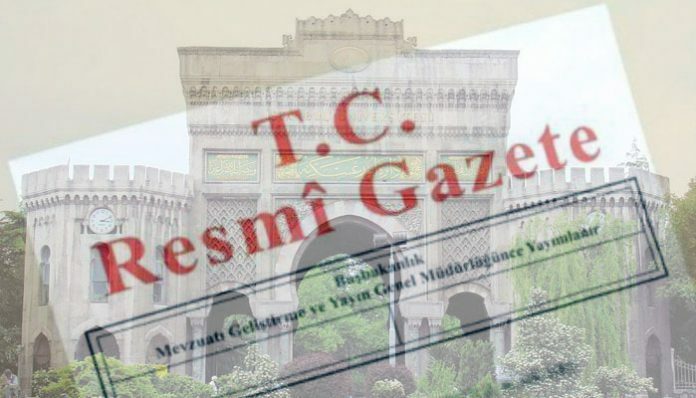 Since a failed coup attempt in July 2016, 5,717 academics at 117 universities were dismissed from their jobs due to government decrees issued under a state of emergency, the Diken news website reported on Wednesday. According to the report, only 140 of the dismissed academics were returned to their jobs under another government decree. Turkey’s Council of Higher Education (YÖK) said the universities were responsible for the dismissal of the academics. A total of nine government decrees issued between September 2016 and August 2017 dismissed thousands of academics and closed more than a hundred universities. The number of students at those universities was 64,533. According to a BBC Turkish report in July, 23,427 academics have been affected by the state of emergency that was declared following the failed coup attempt in 2016. Emergency rule was declared for three months on July 21, 2016 and became effective with a government decree issued on July 23, 2016. With the first decree, No. 667, 15 universities were closed down on the grounds that they were linked to the faith-based Gülen movement, accused by the Turkish government of leading the failed coup, a claim the movement denies. There is no information about the number of administrative staff members working at these universities who were affected, but 2,808 academics were left unemployed and 65,000 students had to seek new universities according to figures from Turkey’s Council of Higher Education (YÖK).